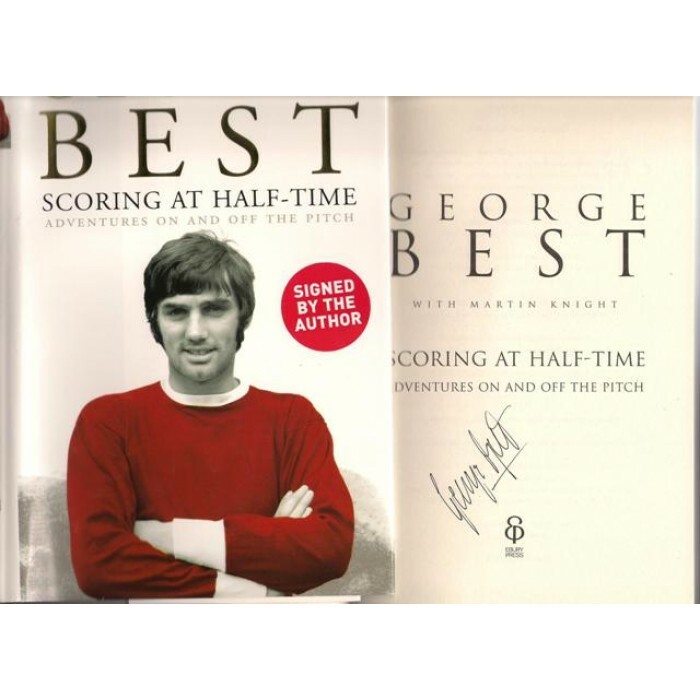 Manchester United Legend George Best hand-signed book Hardback edition of Scoring at Half-time signed by George Best. The picture is of one of the books I have in stock and rest assured you will recieve a genuine hand signed edition. Just FOUR left. Please note the soccersignatures site is set up to charge you only £2.60 for postage. I will refund your postage. Postage for this item is FREE! !